It's fitting that the body of water outside the San Francisco Giants' ballpark was named after Willie McCovey; his ferocious swings always sent ripples of fear throughout the National League. The fear gave way to tears on Wednesday as the namesake of McCovey Cove, the Hall of Fame slugger with the sweet left-handed stroke that produced 521 home runs, died at the age of 80 on October 31, 2018, at Stanford Hospital after "a long battle with many illnesses." On a team with many bright stars, including Willie Mays, Juan Marichal, Orlando Cepeda, and Gaylord Perry, McCovey was the most beloved Bay Area icon of all, a humble, approachable superstar who earned "the admiration and respect of seemingly every man he came across," as Mark Armour wrote in his SABR biography of the first baseman they called "Stretch." Born on January 10, 1938, McCovey grew up in Mobile, Alabama, the same hometown as baseball greats Mays and Hank Aaron. He was signed by famed Giants scout Alex Pompez and joined the major-league team in 1959, one year after they moved from New York to the West Coast. McCovey immediately made his mark with one of the great shortened seasons in baseball history. He hit .354 and 13 home runs in just 52 games, earning unanimous NL Rookie of the Year honors. While platooning at first base with Cepeda, McCovey helped lead the Giants to the 1962 World Series, where his final at-bat in Game Seven — a potential game-winning line drive caught by the Yankees' Bobby Richardson — was immortalized by Giants fan Charles Schulz in his Peanuts comic strip. 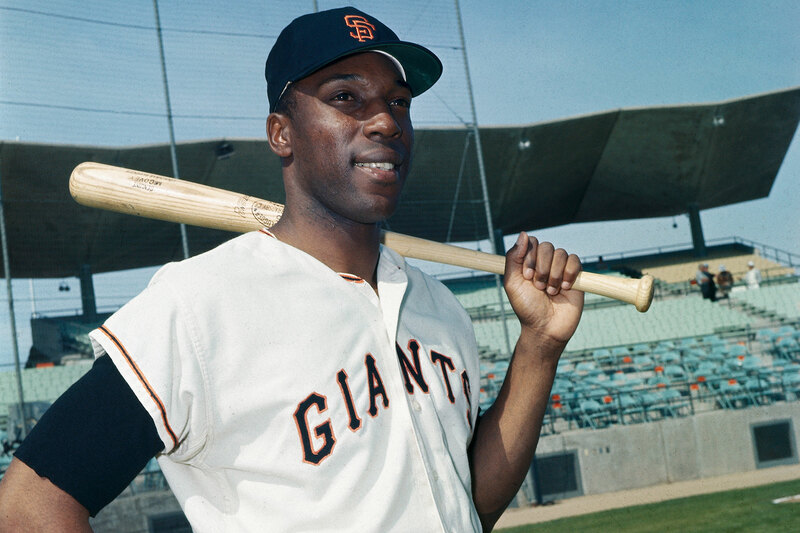 After Cepeda was traded to the St. Louis Cardinals in 1966, McCovey thrived in a full-time role and solidified his legacy as one of the most powerful sluggers in the game. Los Angeles Dodgers manager Walter Alston once said, "McCovey didn't hit any cheap ones. When he belts a home run, he does it with such authority it seems like an act of God." McCovey led the NL in home runs three times, including a career high 45 blasts in 1969, when he earned league MVP honors. He also homered twice in the All-Star Game that year and set a major-league record with 45 intentional walks. His 18 career grand slams remain the highest total among all batters in National League history. Foot and knee injuries slowed him down in the second half of his career and for the rest of his life. He moved on to the San Diego Padres and Oakland A's for brief stints before re-signing with the Giants in 1977, when he earned the NL Comeback Player of the Year Award at age 39. He retired in 1980 and was elected to the Baseball Hall of Fame in 1986 in his first year of eligibility. In retirement, he lived in the Bay Area and was a familiar face at Giants games, both at Candlestick Park and at what is now AT&T Park, next to the cove that bears his name. “I'd like to think that when people think of San Francisco,” he once said, “they also think of Willie McCovey. It's where I want to be, where I belong. I hope the people there love me a little in return." This page was last updated November 1, 2018 at 1:22 am MST.